Interests:Updating Tokyo 2020 Threads is all I really do. 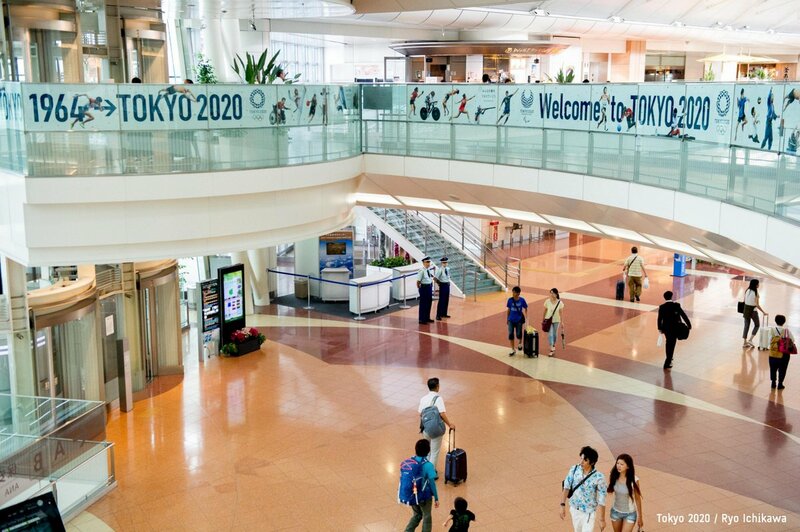 Haneda looks great with this 2020 look! Website Still To Change Concept And Pictograms. looks like blue is going to be a strong colour. Strange considering the flag is red and white. Strange how? Atlanta, Nagano, SLC, Torino, Vancouver, London and Sochi didn't match the Look to the colours of their national flags. It's hardly a departure if blue is Tokoy's main colour. After the bright festival colours of London and Rio I wonder if Tokyo will go back to a smaller, muted, but crisp palette of colours. I can definitely see venues using the indigo blue of the logo but with sharper pops of brighter colours in certain areas say around the Rings/Agitos. As much as I would love to see red embraced it is not a good colour for TV and tends to 'bleed' on camera. It will also be interesting to see how much digital Tokyo embrace. Digital tier dressing is now commonplace across the sporting world, but cost and reluctance from the IOC has led to print-based venue look being the default. 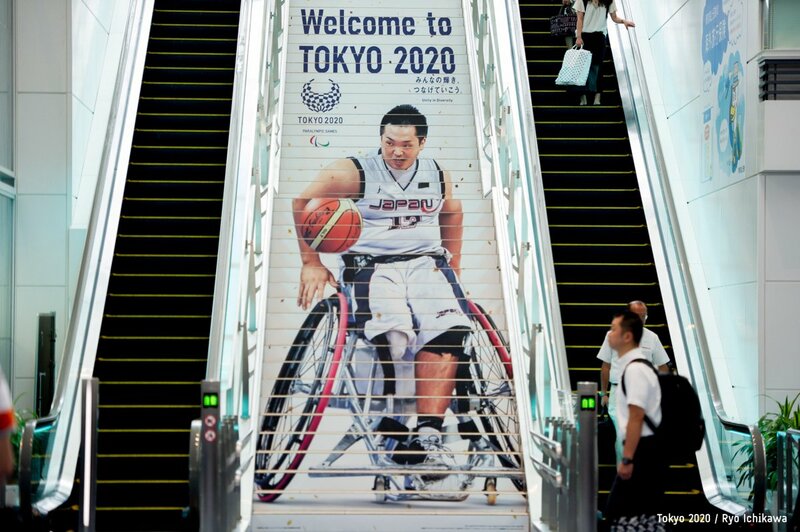 Whether Tokyo begins to nudge the IOC towards an animated look in their venues remains to be seen. I would love for the pictograms to be similar to the CGI animations at the handover, almost 3D-esque with a hint of 'Tron'. I have good feelings about Tokyo. Like London I think they could really take the concept of a 100% integrated look of a games to new heights which I don't think Rio delivered. Making the world’s biggest city beautiful is a task Japan’s beleaguered Tokyo Electric Power Co. Holdings Inc. is unlikely to relish. The company known as Tepco, which faces $144 billion in clean up costs for the 2011 Fukushima nuclear meltdown, has been assigned with removing hundreds of thousands of utility poles across Tokyo so visitors to the 2020 Olympics can enjoy uninterrupted views of its famous cherry blossoms and neon-lit streets. While this adds to the burdens of the embattled company, which is paying compensation to victims after a triple meltdown left it on the verge of default and in need of a government bailout, Yuriko Koike may not have sympathy. The Tokyo governor, co-author of the book ‘No Power Pole Revolution,’ wants to accelerate plans to remove the poles from the metropolis — a project that could cost as much as $6.8 billion. Nothing wrong with wanting to cover up or remove eyesores. 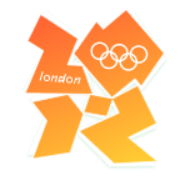 Anyway, isn't that the whole point of bannerage at just about any Olympic Games? Without that bannerage, I personally know a few venues that would have just been ugly scaffolding in Sydney and London. 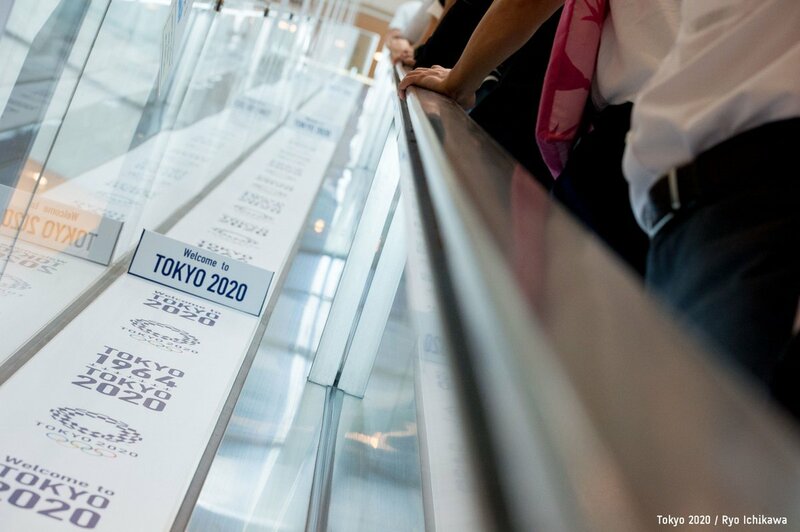 What's new is the scale of the Tokyo effort, and the potential consequences. Relying on poles for power and communications cables allows very rapid and low-cost response to change; undergrounding looks good but it is much more costly, and more time-consuming when upgrading/replacement of cables is required. And yet, according to the story, the plan is not Olympic-dependent, but an acceleration of existing plans for Tokyo to emulate what they say is 100 per cent buried power lines in London, Paris and Hong Kong (and may I also add, similar to projects underway in Sydney by various councils to do exactly the same thing). I don't see how this can be casted as some diabolical Japanese-IOC plot to create a Potemkin village in Tokyo to hide the fact they are behind other cities in burying their power cables. And again, isn't it incumbent, or at the least incredibly desirable, that having won an Olympics, a city wants to ensure that the images that come out of it make it look at its best? Just basic common sense and ensuring you get the best value from your investment. In Sydney, for example, we DID end up burying those cables Ebersol objected to. And while we were already sprucing up the city for the games, it was decided to do side projects (which you won't ever find mentioned in the account books) to replace all the footpaths in the CBD to much prettier bluestone, a project hat caused huge disruptions to traffic and commerce the city in the mid 90s (much like the huge disruptions we have now pulling up our roads in the CBD to establish light rail lines). It was not Olympic-dependent, but definitely prompted by the Olympics to make central Sydney look much nicer. See, this is the type of problem the Olympic movement faces. You have a type of project that in any other time would be lauded as a nice piece of civic improvement, but in an Olympic city, where in the lead-up you have teas of media just looking for any negative angle they can find, you merely have to tack the word Olympic to the story to give it some sort of sinister connotation: "Look! They're tearing up power lines/footpaths/streetscapes just for the games! Think of the cost! Think of the hospitals and schools going begging!" A big YES to that. I've always argued that part of the point of staging the Olympics (as opposed to bidding for the Olympics) is to create an excuse for pushing through large-scale urban projects, the real benefits of which will be most appreciated decades later. Exactly. The Homebush precinct in Sydney certainly took a decade or more to come to full fruition and achieve its potential. I've no idea about how London's Stratford is faring today, but I'd wager it too is a work in progress and the final verdict is stil in the future. And hence why I've been quick to answer back criticisms of Rio's "legacy" based on a few alarmist beat-up articles less than six months from the close of its games. There ARE lots of positive stories and legacies from the Olympics out there, but those stories are just struggling to gain any traction when there's alarmist, and often misleading or flat out wrong, tales out there to hog the limelight in the blogosphere. It's something I'm finding really disheartening at the moment, that sensible discussion in so many spheres is just being drowned out by manufactured outrage and disaffection. How can you have reasoned analysis in these days of 140 character sensation mongering? Afaik, Stratford is doing very well - especially now the stadium's doing something. Rols really nails the two big problems, the time & the perception. If you say you're transforming an area like Stratford for an Olympics, the perception is that you're spending the money just for the Games - & by extension, just to impress the IOC. But can you seriously imagine that if we'd decided to transform Stratford into a park & sports complex anyway, that it'd be done at all by now, let alone 5 years old already? The greatest argument for hosting a major sporting event & building for it is that it's the biggest kick up the rear any city/country can have to get stuff done. 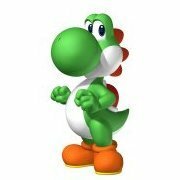 Exactly yoshi. I think the scale of the project and what was achieved in such a short period is sometimes forgotten. What London had wasn't a flat bit of clean land which could just be built on like Rio. Before anything could happen organisers had to remove over fifty 60 metre-high electricity pylons, and build two four-mile long tunnels beneath the Olympic Park to house the cables. So Tokyo isn't the only recent host to be doing this kind of thing in preparation. Also doesn't look great in person. I was in Beijing in 2008, and found the red/rainbow/red banners and livery a bit too much. Spectacular, but intense. I think a suite of pastel colours might work well - pinks, greens, light blues, yellows... perhaps simply an arrangement of the logo shapes and squares. Keep it simple. I just got back from a two week trip to Japan. 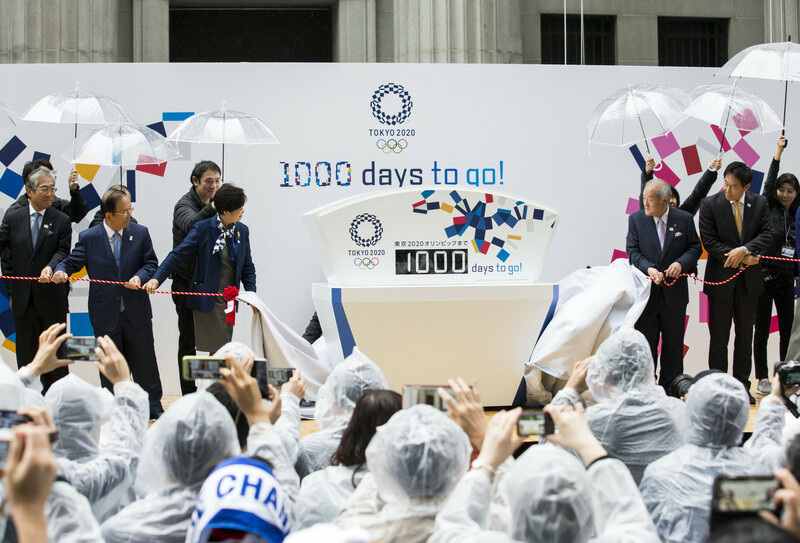 Tokyo 2020 is everywhere! 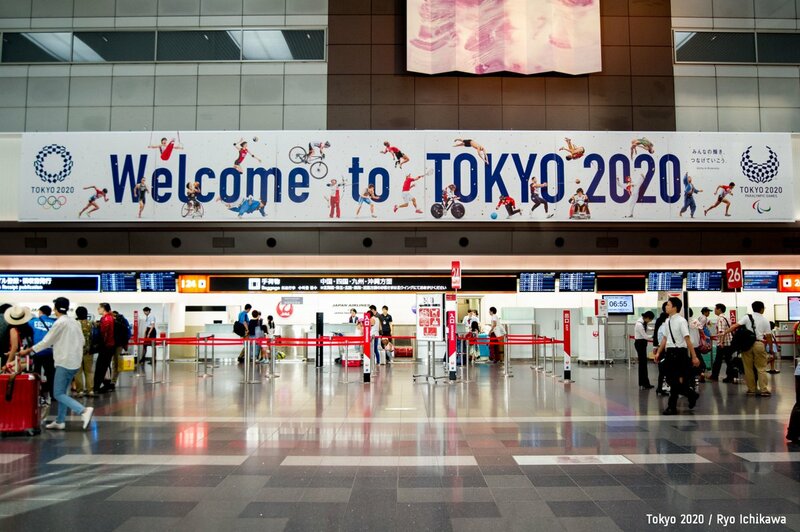 I had seen the logos upon departing the airport, in the harbor area of the Odaiba, outside the 1964 Olympic venues, as well as a countdown that was scrolling on the side of the famous Asahi Brewing Company building. There is a store selling official merchandise in Narita airport. I snagged a hand towel, pin, and keychain. Very reasonably priced I might add. 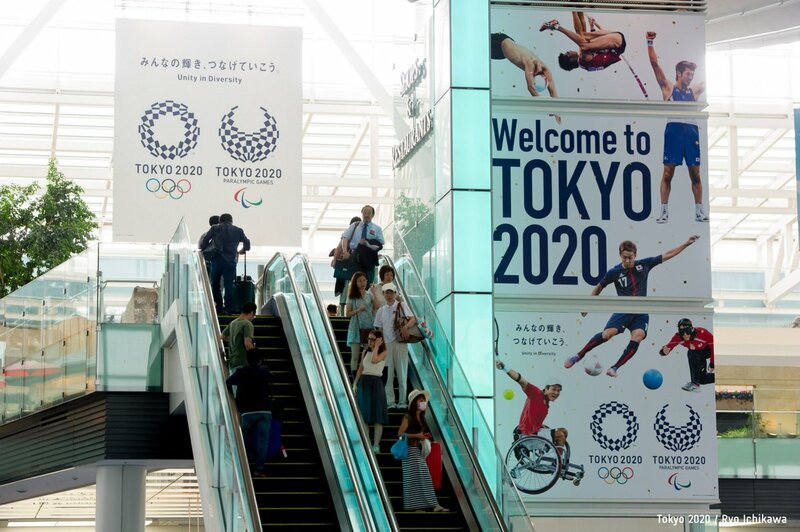 I also saw a Tokyo 2020 sign in the Kyoto train station. It was very exciting to see the country embracing the games. I can't wait to return for 2020! Then you can copy the link into the add image box. So all this came out just today in preparation for 1000 days to go, but I'm not 100% sure whether this is the actual Look of the Games or not, but we'll see I guess. Nice - looks like another games where look > logo. Looks like the visual identity of Tokyo is starting to take more shape now. Already liking how it fits with the logo. Hanabi is the word for Fireworks. Fireworks Festivals/contests are very popular in the country, so it works with the overall celebration theme of the olympics. The paper confetti idea is OK; but it does look like more of the same. I think the 2020 Look will be underwhelming. The countdown clock - unless it changes later- seems to convey that it will be the look of the games.